Images have been resized. Courtesy of Spry Health. The U.S. Food and Drug Administration has granted market clearance to Spry Health’s Loop System, a wearable monitor for patients with chronic obstructive pulmonary disease (COPD), according to today’s announcement. 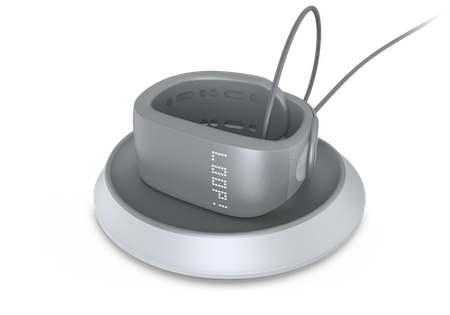 The Loop System is a wristband with sensors that measures pulse oximetry, respiration rate and heart. The wearable also monitors blood pressure, but the feature is meant to be used for research purposes. The wristband uses machine learning and expert system algorithms to contextualize the data and identify the early signs of deterioration before symptoms are noticeable. Clinicians will be able to use the technology to remotely monitor patients with COPD and other chronic diseases. Providers can then direct care when and where it is needed to try to avoid hospital admissions, readmissions and reduce healthcare costs. The wearable doesn’t require any input or data from patients and does not require an application or smartphone. In a pilot study, it was found that 92 percent of patients wearing the Loop followed their doctor’s monitoring recommendations. “We believe this technology holds the potential to not only improve health and reduce costs but also to provide reassurance and peace of mind for patients and caregivers,” said Pierre-Jean “PJ” Cobut, co-founder and CEO of Spry Health. The wearable is now commercially available in the U.S. and is offered by physicians and health systems to their patients.